FireLite IGU is composed of FireLite glass ceramic products and tempered or annealed float glass. Make-ups that achieve 3-hour fire ratings must be specified with FireLite NT or FireLite Plus®. 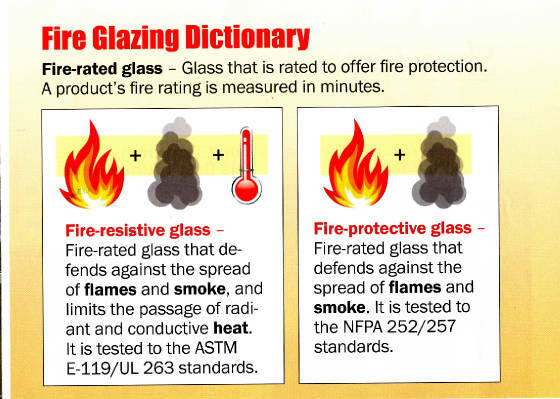 WireLite® is a 1/4"(6 mm) thick fire-rated glazing material composed of wired glass. It is listed for use in openings that do not require an impact safety rating. Pilkington Pyrostop® is a fire-rated and impact safety-rated glazing material that blocks radiant heat, protecting people and valuables on the non-fire side of the glass where radiant heat transfer might be a concern.